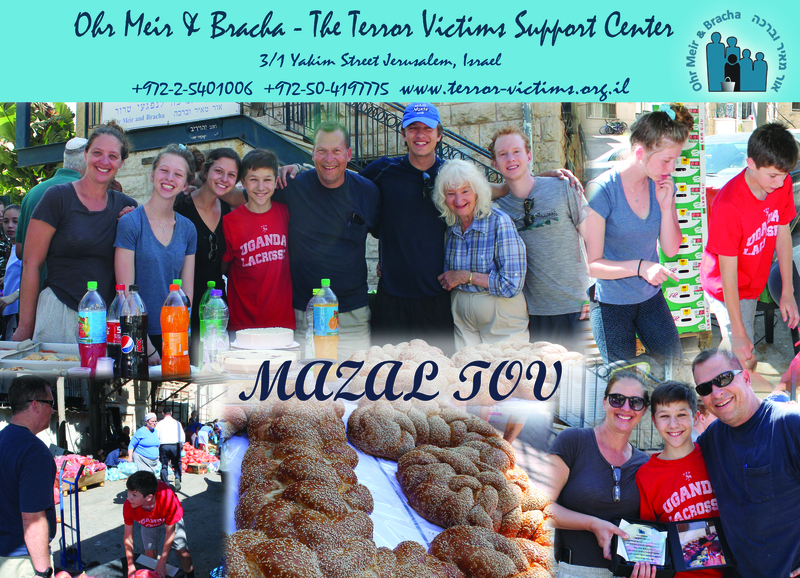 You are invited to celebrate a Bar or Bat Mitzvah with Ohr Meir & Bracha: The Terror Victims Support Center. 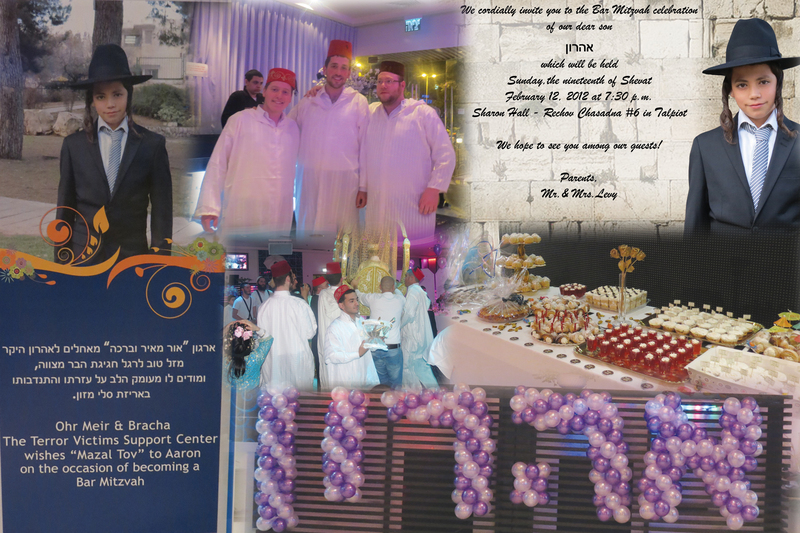 Here is a glimpse of Chana Fine's Bat Mitzvah celebration sponsored by her family and hosted by Ohr Meir & Bracha, which took place in August 2010. The Simcha was celebrated in a traditional Sfardi style complete with a decorated tent, throne on which she was carried, and henna. The tent was glamorous, decorated with elaborate rugs, glistening vessels, and a golden throne. The food, included various types of breads, blintzes, noodles, cakes, fruits, etc., which was delicious and served to her family, friends, and children of families affected by terror. Everyone was given traditional Sfardi garb to wear and everyone had fun as they dressed and saw their friends wearing Sfardi robes and hats. Chana was then carried in on a throne, held above the heads of all the guests. Henna was then mixed and applied to the hands of many children, leaving them a mark on their skin that would stay with them for weeks and serve as a reminder of the wonderful event. 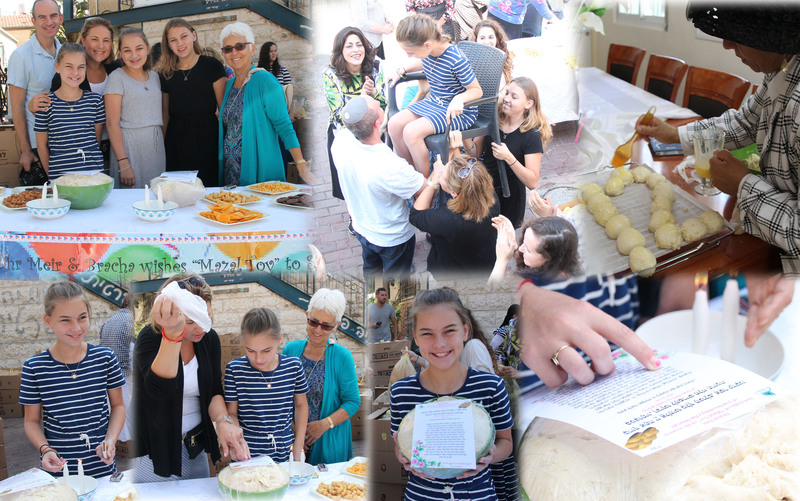 As part of Chana’s initiation as a Bat Mitzvah she and the other women present took part in the Mitzvah of “Hafrashat (separating) Challah”. The most unique aspect of this day was the presence of the children of Victims of Terror. The joy that was brought to these young children was immeasurable and truly a day for them to remember! 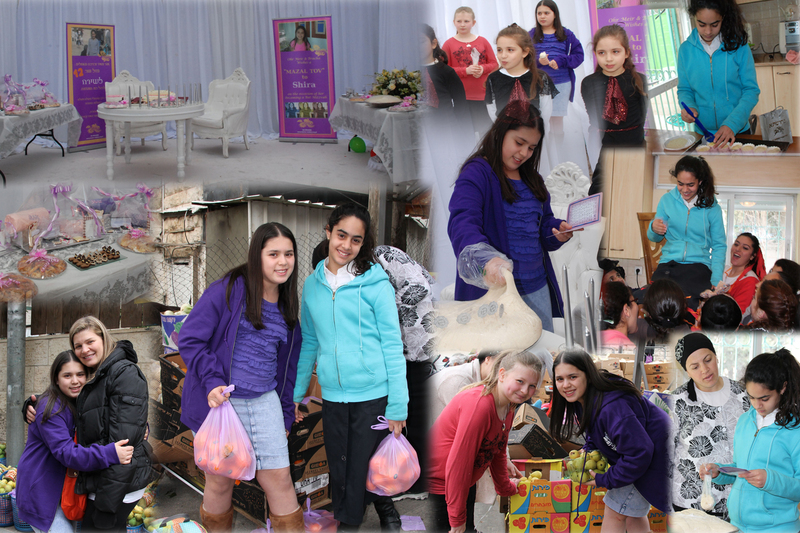 Click here to view Chana’s Bat Mitzvah celebration! Tamara Kay and her Mother, Debra, traveled to Israel from England to mark Tamara's milestone birthday. Tamara joined us on October 3, 2013 along with her Mother in packing food baskets for Victims of Terror. 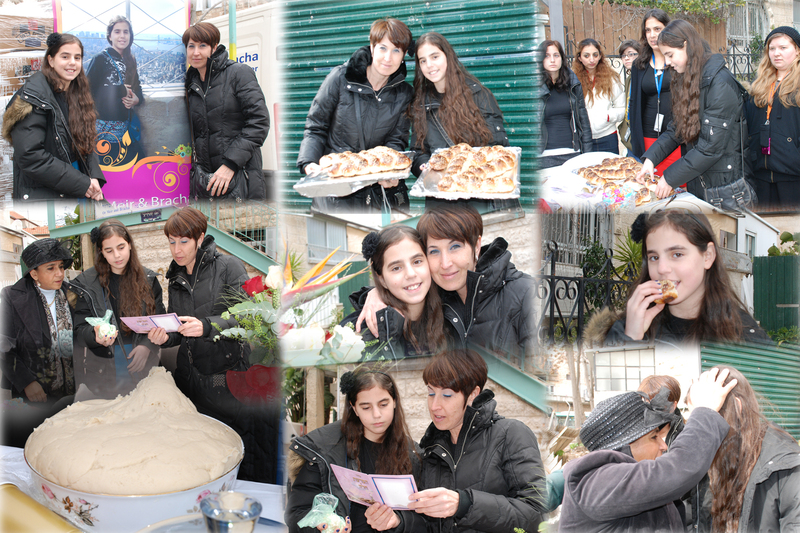 Our volunteers joined in the dancing and Tamara''s first time fulfillment of a woman's Mitzvah of "Hafrashat Challah". Refreshments and Challah were enjoyed by all. I will be celebrating my Bat Mitzvah, G-d willing, on Rosh Chodesh Adar Bet. I will be celebrating with my entire family and a few of my friends but the one I will miss most, the one I am ALWAYS missing, is my father, David Z’L who was murdered in a shooting attack in Hebron/Kiryat Arba. It is so difficult for me that I am an orphan. I live with my mother and brother at my grandparent’s home. They always try to make me happy and they love me so much. But it could be just so nice and so good if only my father, my mother, and my brother, Nuryah, all lived in my house. I am in the Sixth Grade at the Chabad School in Gilo. I really love my classes especially my religious subjects. I also love to be creative and make things with my hands. I am now accepting upon myself the obligation of fulfilling all the Mitzvot and I am sure that my father, is proud of me from Above. I would be so happy if you would participate in my simcha and if you could assist us in financing my Bat Mitzvah celebration. This wonderful group of ladies came to celebrate not only their special day but to bring joy and Chizuk to Oriyah C. and her family. Oriyah’s father was murdered in Hebron/Kiryat Arba and Oriyah had written to Ohr Meir & Bracha to ask for financial assistance to enable her to celebrate her milestone birthday. 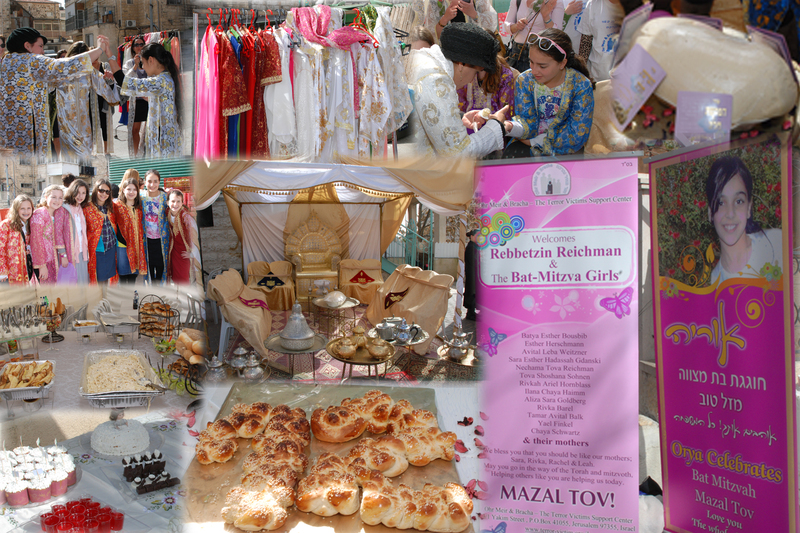 Under a traditional Moroccan tent, Henna was dispensed, Hafrashat Challah was fulfilled and a fun time was had by all! Two young ladies share very little except that they are both named Shira and both are becoming a Bat Mitzvah.Shira Bousbib is a young lady from Englewood, NJ. She is 11 years old and is in 6th grade at the Moriah School. 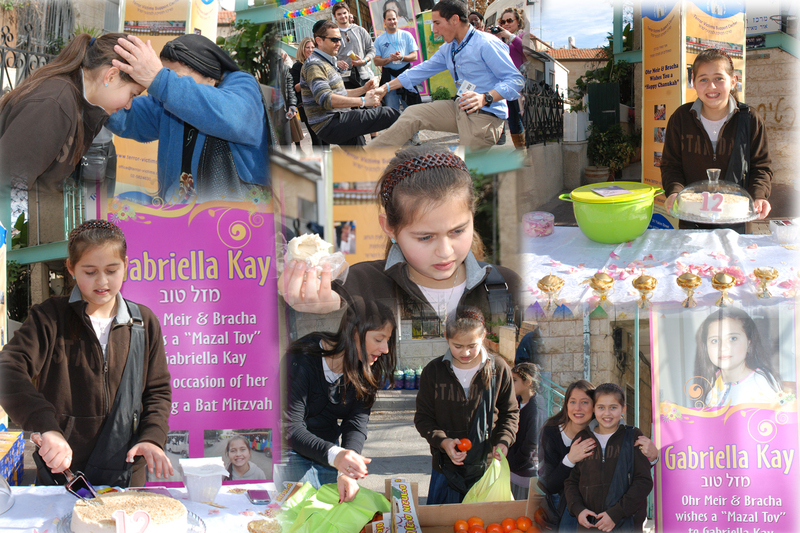 In lieu of gifts for her upcoming Bat Mitzvah, she has decided to raise funds for Ohr Meir & Bracha. She looks forward to helping as many families as she can through her efforts.Shira Bousbib and her Mother Polly, are friends and supporters of Ohr Meir & Bracha for many years. They also enjoy a close friendship with Liora and her family. This February 14 Mother and Daughter flew from New York to Israel to spend quality time in celebration of Shira’s milestone birthday.In Israel, in the Shivtei Yisrael neighborhood in Jerusalem, 2002, Shira E. was walking with her Mother, Aunt and infant brother to the conclusion of a Bar Mitzvah celebration and the reciting of Havdalah. Among the throng of guests was a Terrorist dressed as a religious Jew. 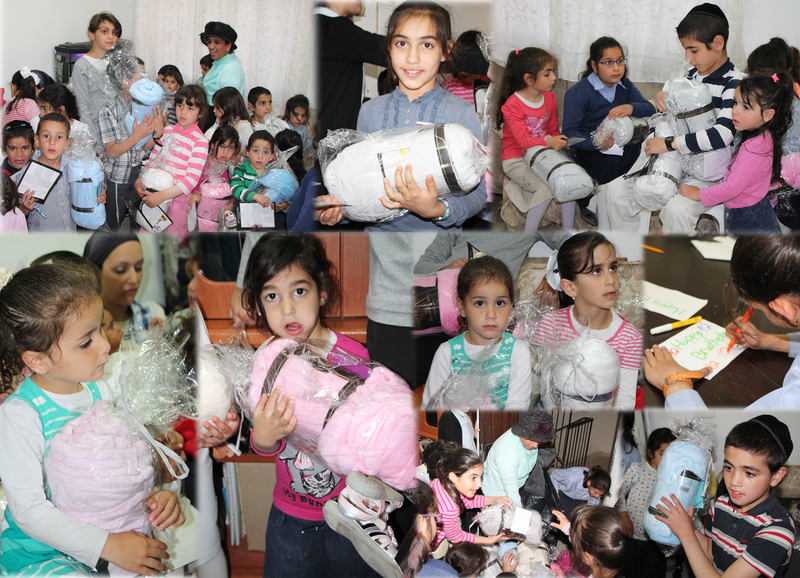 Shira’s Mother struggled to watch over Shira and her little brother and asked her Sister to please carry the baby. As her Mother turned to hand the infant over the Terrorist ignited and Mother and child were incinerated. Shira survived only because she was buried beneath all the debris that had fallen from the sky due to the explosion. 10 others were killed that day. These two young women have come together today to mark the special occasion of their shared birthday. We were joined today by another Mother and Daughter visiting Israel to mark the special occasion of a Bat Mitzvah. Zahava Hill and her Mother, Rabbanit Shosh Hill have traveled from England to join in the mutual joy and nachas. Zahava is a student at Hasmonean High School in London. This is Zahava’s third trip to Israel and Thursday morning is always scheduled to be spent at Ohr Meir & Bracha! Zahava undertook to raise funds at her school on behalf of our families. These young women began their venture as B’Not Mitzvah by spending the morning doing Chsed. 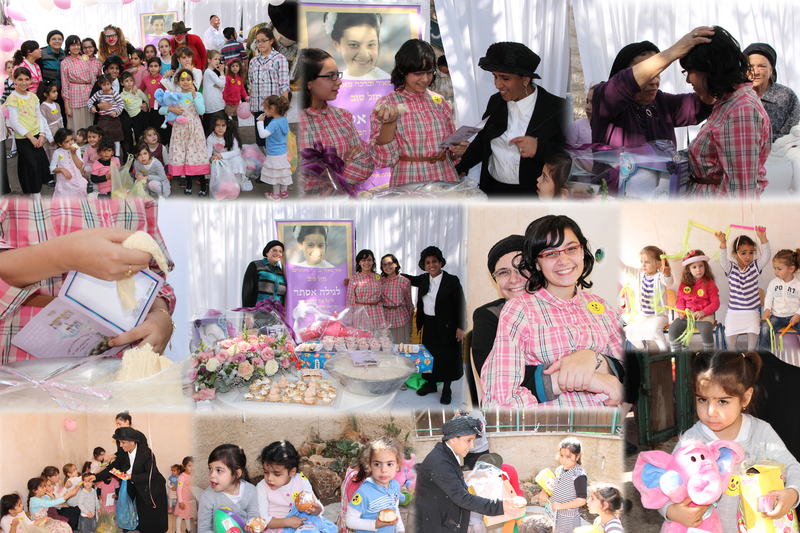 They joined Liora and the other guests in the Mitzvah of “Hafrashat Challah”; a Mitzvah unique to women. All joined in packing our weekly baskets for Victims of Terror. No celebration is complete without music and dancing. Thanks to the students of Ulpanit Pisgat Ze’ev there was plenty of ruach, hugs, kisses and “Mazal Tov” on everyone’s lips. Gabriella Kay and her Mother joined us during their trip to Israel (December 22, 2011). 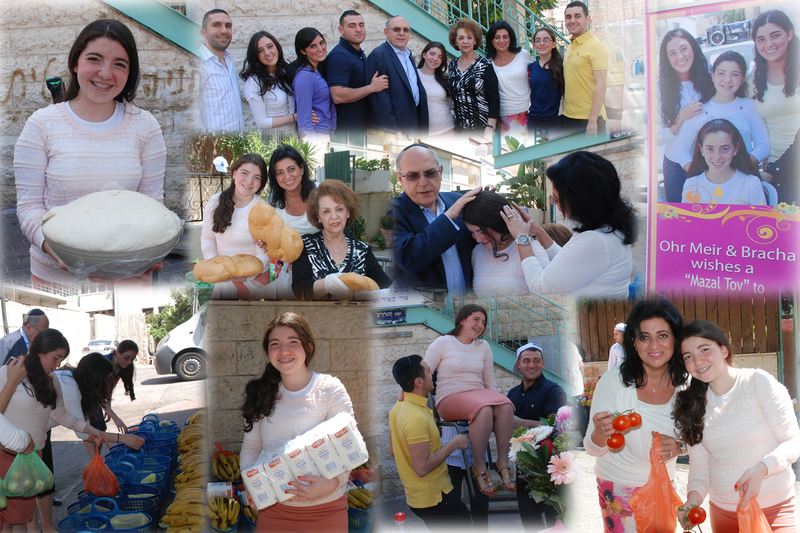 Gabriela joined us in preparing food baskets on a Thursday morning and Liora in the Mitzvah of "Hafrashat Challah". This was Gabriella's introduction to a Mitzvah unique to women. All who attended felt quite honored to be a part of this young lady's rite of passage. First I want to say thank you again for an amazing Bat Mitzvah celebration in August this past summer. I think it’s sad that Israel needs to have this organization but it really does help. When I came back home, I talked to a lot of my friends and some of them want to help next time they come to Israel. 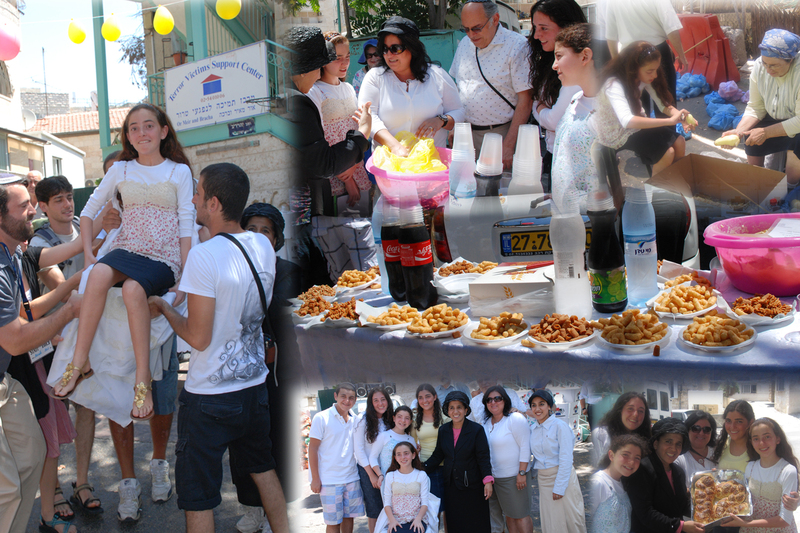 The celebration in Israel that we had with you was just part one of my Bat Mitzvah. I had a party in New York. At this party I talked about Ohr Meir U’Bracha again and praised it for all the wonderful things it does. Enclosed is a check for $500 for your organization. I hope this fills as many baskets as can be. I hope that next time I come to Israel I can participate again. Please continue doing the work you are doing. On January 26, 2012 Adi Nissanian was joined by her Mother in celebrating her special birthday at Ohr Meir & Bracha. Adi was greeted with song and dance by the girls of O-U Birthright Free Spirit before commencing to pack food baskets. It was so thrilling to see these young women so excited to be in Eretz Yisrael and so honored to be a part of Adi's simcha. Welcoming Naomi again at Ohr Meir & Bracha! 23.2.2017. Thank you so much for volunteering here again today. May you continue having Bracha V'HAtz;acha! Looking forward in seeing you again! On July 22, 2010 Naomi Liviem and her family celebrated her becoming a Bat Mitzvah along with the volunteers of Ohr Meir & Bracha. The Liviem family joined us 2 years later to celebrate their eldest daughter’s Bat Mitzvah. On June 28, 2012 they joined us again to celebrate Kayla Rivka’s special birthday. The extended Liviem family looked on as Kayla Rivka performed her first Hafrashat Challah as a Bat Mitzvah. Aharon L. - The “H” family’s husband/father was murdered by Terrorists leaving behind a pregnant wife and 3 sons. 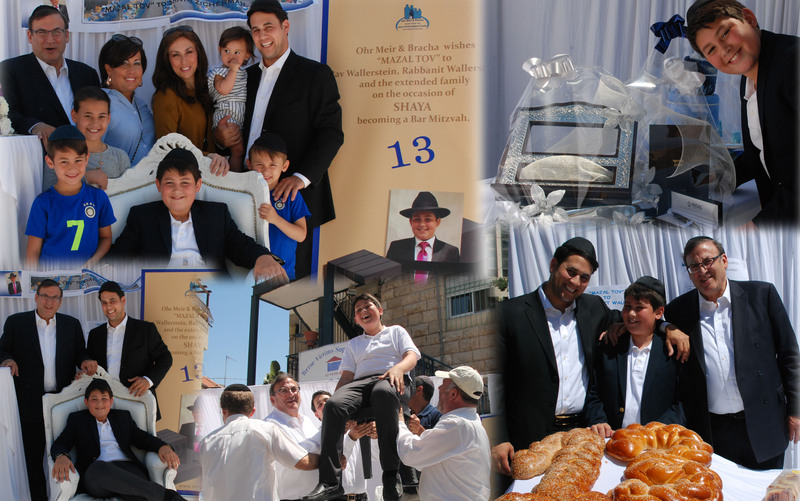 The eldest son, Aharon celebrated becoming a Bar Mitzvah on February 12, 2012. Ohr Meir & Bracha has watched this boy grow into manhood. Each week Aharon is among our volunteers, packing baskets of food regardless of the weather. Aharon always stops by the office and stops to chat with each of us and ask if there is anything he can do to help. It is wonderful to see how Aharon has learned the importance of giving of one’s self to others and that everyone, regardless of their fate, has something to offer. All who were in attendance at Aharon’s Bar Mitzvah understood the special relationship that Ohr Meir & Bracha has with the families it cares for. It is indeed ONE family! 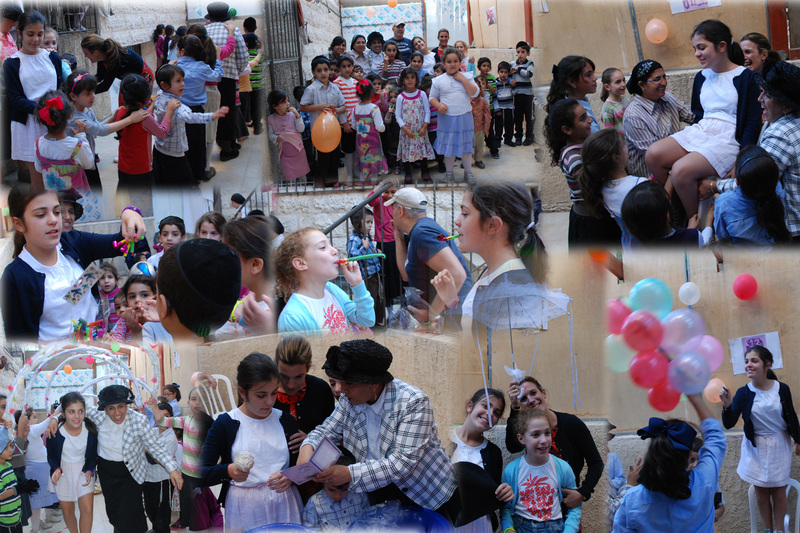 Food, balloons, music, guests, Simcha and smiles EVERYWHERE! Thank you to the “Tedgi Children” for creating the scrumptious desserts! Thank you to”Ulamei Sharon” in Talpiot for subsidizing the rental of their facility. Thank you to all who donated and made this event possible. May this be a wonderful new beginning for Aharon! Mazal Tov! Sara Benjamin and her Mom, Emma toured Israel in honor of Sara becoming a Bat Mitzvah. They had heard about Ohr Meir & Bracha from their neighbors in Perth, Australia. Thursday morning, July 12, 2012 they joined us in packing our baskets. They were joined by a tour of high school students visiting Israel thorough USY (United Synagogue Youth). The students were delighted to join in Sara’s celebration. The “H” family’s husband/father was murdered by Terrorists leaving behind a pregnant wife and 3 sons. 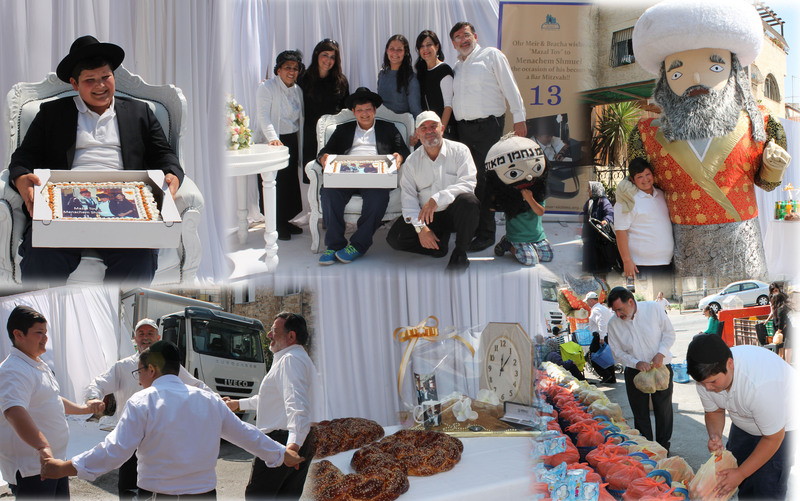 On October 21, 2013 we were privileged to join in the celebration of Yosef Chaim Levy. This young man is the brother of Aharon, who we have already featured. Friends, family and sponsors of Ohr Meir & Bracha arrived at the Talpiot catering hall to host Yosef Chaim on the occasion of this milestone birthday. We were joined by a group of young men from the U.S. who are here studying in Yeshiva and gave of their time to come and bring their version of "shtick" and laughter to the celebration. Garbed in Moroccan costume, family and guests came to show their solidarity with Victims of Terror and to mark the occasion of happiness and nachas entering their lives. 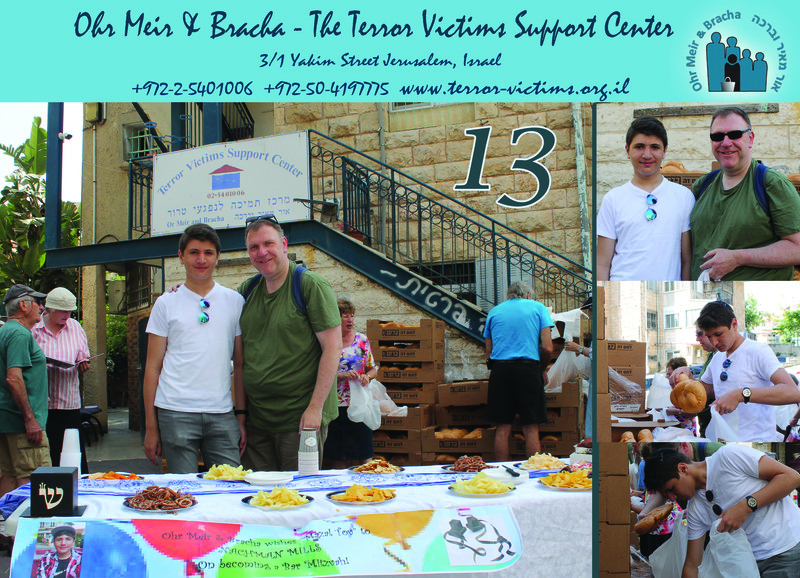 We feel quite privileged to bring the resourcesof Ohr Meir & Bracha to the families affected by Terror. Through Hashem's guidance, angels in the guise of the most special of people arrive at our door to assist in our mission. What a unique and warm family we hosted at our "Kids' Corner" on October 23, 2013. We all had such a wonderful time observing the reaction of the children as we participated in the Bat Mitzvah celebration of Emily Spungin. Emily and her family arrived from England. The motivation behind the trip was to expose Emily to Chesed projects near and dear to the hearts of her parents. It was an opportunity to see up close and personal the difference one person can make in the life of a child. We all had so much fun and were so honored to be a part of Emily's rite of passage. The children who participate in the Kids' Corner program are thirsty for love and desperate for attention. They received an abundance of hugs to warm their souls and gifts of hats & gloves to keep their bodies warm in winter. My name is Ayelet S. mother to Or Chaim, Gila Esther, and Nechama Chaya (10 years old). I was in a Terror attack July 16, 2002 on the bus from Bnei Brak to Emanuel. During the bombing my mother and my daughter, Sara Tiferet, who was 11 months old, were killed. My husband was not with me. When the Terrorist began to shoot I called him to bring help. He arrived with his friend. They did not know the Terrorist was dressed as an Israeli soldier. My husband moved close to the “soldier” and was shot. His friend escaped. The bullet of the gun came through the window near my head and I lost my left eye. My face was damaged by shards of glass to my neck as well. I was now disabled. I have lost my sense of smell. My son Or Chaim was in shock because he was sleeping until just before the attack. I was two months pregnant at the time and just sat and said Shmea and kept davening. My son, Or Chaim, was wounded in the shoulder. The bullet traveled from the shoulder to this heart and he had glass shards in his ear. Thank G-d he survived. Gila Esther was bleeding all over. After 7 months Nechama Chaya was born. We received the following e-mail from Stephanie Victor: “... forwarded your emails to me about ideas for creating a twin bat mitzvah experience for my daughter. A match was made! 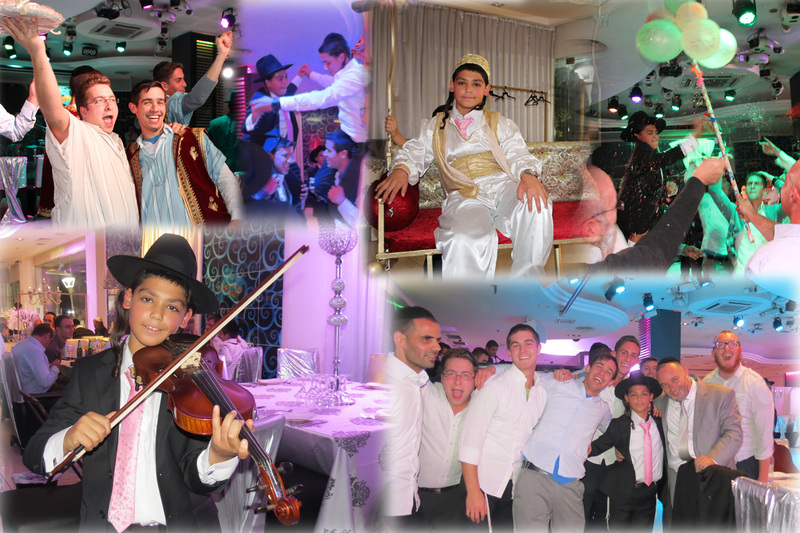 Enjoy the pix of Gila’s Bat Mitzvah celebration at Ohr Meir & Bracha. In total Shoshana Victor raised over $1000. December, Leora Dembitzer and her family marked the special occasion of Leora’s milestone birthday by joining us on a Thursday morning to prepare our Food Baskets. We received the following note from Ricki, Leora’s Mother: “Thank u again for planning the beautiful party and experience for our daughters Bat Mitzvah last Thursday!!!! It will forever stay with us!! It really made a lasting impression on our daughter, Leora, as well;)”. The simcha continued in February when Leora was joined by her friends in a special Chesed project for the participants of our Kids’ Corner. Leora’s family purchased blankets which were then wrapped and included a personal letter to the recipient, penned by one of Leora’s friends. In addition, each child received a laminated card to take with them to bed to read “Kriyat shema” before falling asleep each night. Karen & Martin Abramson are long-standing supporters of Ohr Meir & Bracha. Coupled with that, the Abramsons are a close knit family where the value of “giving back” is always emphasized. What better way to instill this premise into the next generation than a hands-on chesed experience. 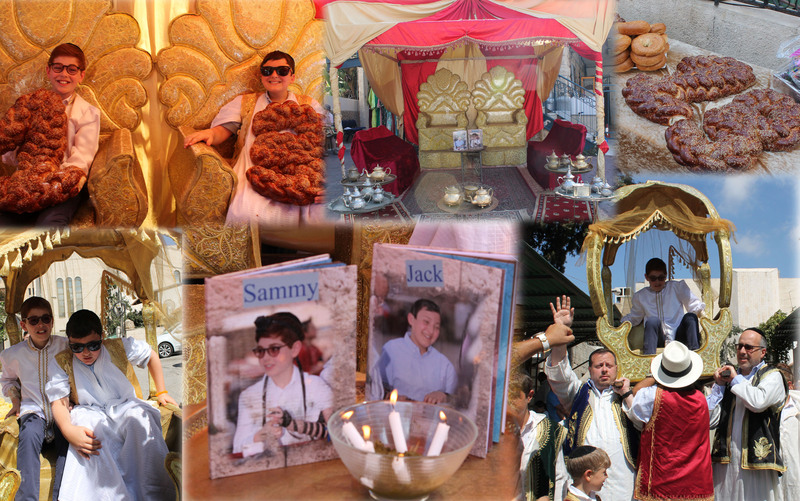 The extended Abramson family arrived at Ohr Meir & Bracha to celebrate Jack & Sammy, cousins, who had reached the age of 13. Our courtyard was decorated in a Moroccan ambience complete with a tent and ceremonial garb. The morning celebration was considered complete only after all our Food Baskets had been prepared. Rav Zecharia of Ohr Naava fame and Rabbanit Wallerstein are the grandparents of Shaya. Rav Wallerstein is a frequent visitor to Ohr Meir & Bracha and when the family planned a visit to Israel to mark the occasion of Shaya becoming a Bar Mitzvah, they naturally planned on a visit to Ohr Meir & Bracha. Music, dancing, and refreshments marked the occasion along with the packing of Food Baskets for Victims of Terror. Etty & Avraham Poznanski are long-time supporters of Ohr Meir & Bracha. When their grandson, Menachem Shmuel became a Bar Mitzvah, Ohr Meir & Bracha was honored to share in this special occasion. Family members joined volunteers in singing and dancing in Menachem Shmuel’s honor. Menachem Shmuel experienced his first time packing our Food Baskets. My name is Anniel Nagler. My family is planning a trip to Israel this summer in honor of my daughter Sara's Bat Mitzvah. We have been talking for a long time about involving ourselves with your organization after we met Liora many years ago during a trip here to America. She visited us once in Hollywood Florida where we hosted her for an event at our home. We would love to come to your facility and pack food and partake in a Mitzvah with your organization. We will be in Jerusalem On Thursdays June 16 or June 24. Are either of those dates open for us to join you? Is there anything specific we should know about doing a mitzvah project with you? Sara would like to raise money for you as well...is there a minimum amount needed? I appreciate any information you have. And so began the planning of Sara’s Bat Mitzvah celebration at Ohr Meir & Bracha. Mr. Allen Rothenberg is the proud grandfather of Menachem Rothenberg and Simcha Spar. They came to Ohr Meir & Bracha along with Menachem and Simcha’s parents to celebrate this milestone birthday. The celebration included singing, dancing, and refreshments. 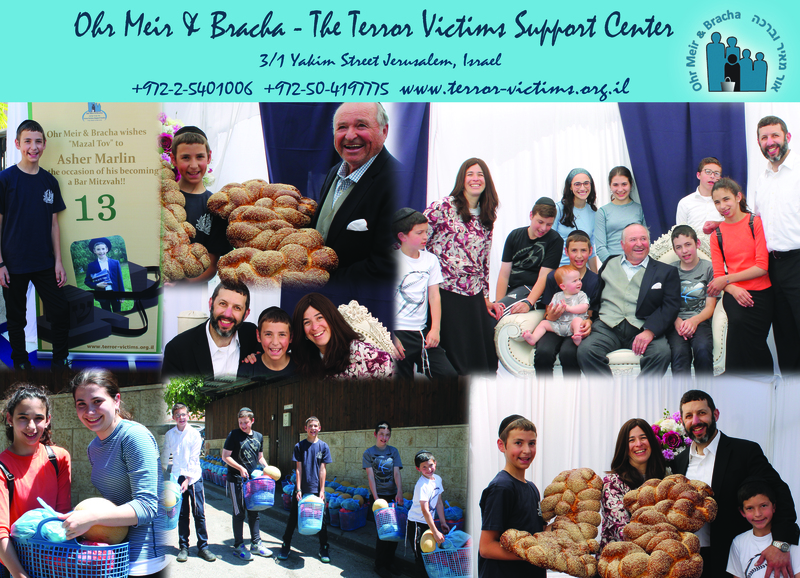 No celebration at Ohr Meir & Bracha goes without packing food baskets for 400 families, terror victims. “Mazal Tov” to Allen & Barbara Rothenberg, The extended Rothenberg and Spar families! 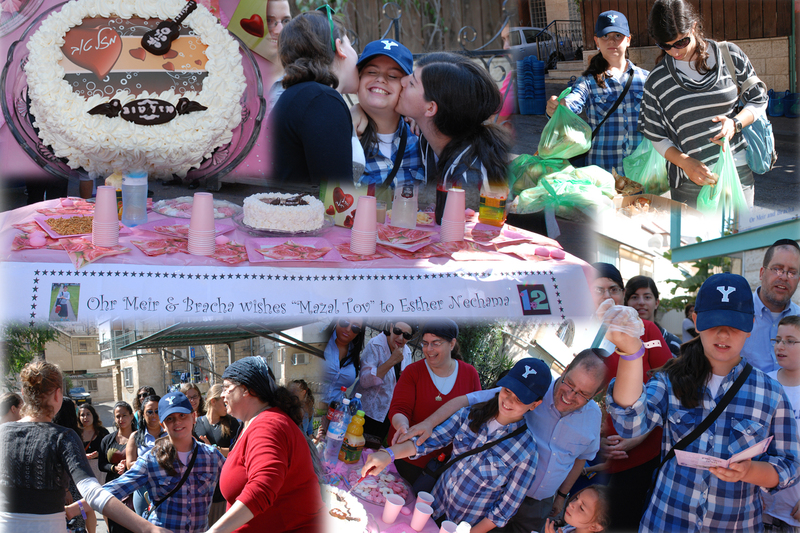 Debra Kay, a Manchester resident held her daughter’s Bat Mitzvah celebration at Ohr Meir & Bracha. The day was such a success that Debra “paid forward” and told her friend Steven Mills. Mr. Mills and his son, Nachman were planning a trip to Israel and contacted Ohr Meir & Bracha. They were hoping to come by on a Thursday morning and help us pack our Food Baskets as part of Nachman’s initiation as a Bar Mitzvah. We so enjoyed having them and look forward to greeting other families from Manchester. Wyatt Fales and his family know how to plan. He visited Israel last summer looking for a charity to which to donate proceeds of funds he would raise until his Thirteenth birthday. He picked OMB! June 21 Wyatt and his family arrived to enjoy a much anticipated Bar Mitzvah celebration. Wyatt’s fervent wish was to share his love of technology with others. In order to see his dream realized, Wyatt had requested Tzedakah boxes which were filled to capacity several times over by Wyatt’s neighbors in San Clemente, California. The monies were used to purchase lap top computers for our Kids’ Corner After-School Program. We were, once again, honored to share in the simcha of the extended Rothenberg family. Mr. Allen Rothenberg arrived with his daughter Randi, her husband Adam and the Bar Mitzvah, Asher. The family participated in packing our Food Baskets, enjoyed refreshments including a 3-D Challah in the shapes of a #1 and a #3. Our Volunteers joined in the festivities and we all wish Allen & Barbara Rothenberg, Randi, Adam and Asher Marlin “MAZAL TOV”!